Make Your Garden More Private with These Top Tips! Are you getting tired of the neighbors looking into your garden whenever you are enjoying a bit of relaxation in the afternoon? Perhaps you don’t have the problem of nosey neighbors, but your garden is located in such a place that makes it feel like you don’t have any privacy at all? If this sounds familiar, don’t fret, as we have some top tips to help you bring some privacy to your outdoor area. Put a fence up – Let’s start with the most obvious tip of them all, putting a fence up. A fence can give your garden a more polished appearance while also enabling you to benefit from more privacy. There are many different styles of fences on the market, and if there is only one part of your garden that makes you feel exposed, you may want to consider a chain link fence in the yard. This is a good option because it is a transparent fence, ensuring the sun still comes through. You can simply plant climbing plants up the fence at the part you want to be covered, adding beauty and giving you the privacy you need without making your garden feel dark and too enclosed. 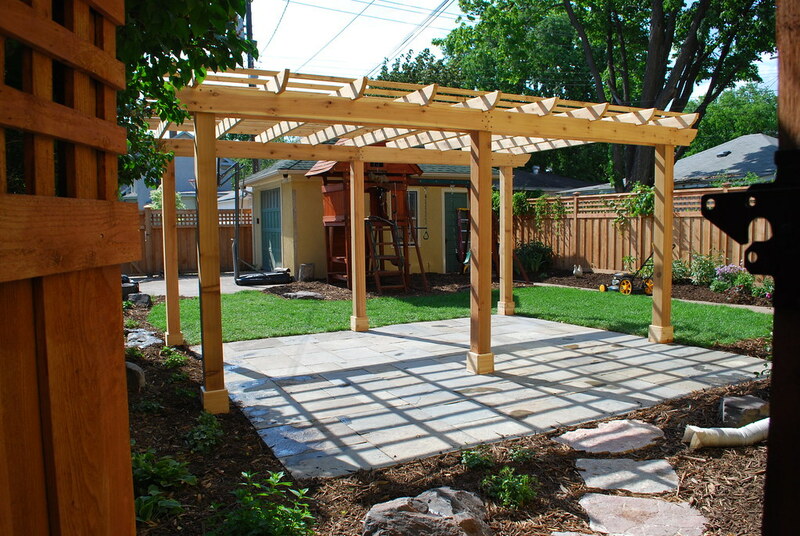 Put up a pergola – Create your very own outdoor living room with a pergola. This is an investment that is definitely worth making. You can create your very own private destination within the garden for those sparkly summer evenings. This is a great way to add the wow factor to your garden while also creating a space for barbecues and entertaining friends. Hang drapes – This is an elegant garden addition that will also give you the privacy you are aiming for. By strategically placing swaths of fabric over your outdoor area you can create a breezy coastal vibe and lots more privacy. This is also a budget friendly solution, especially if you already have an arbor or patio. 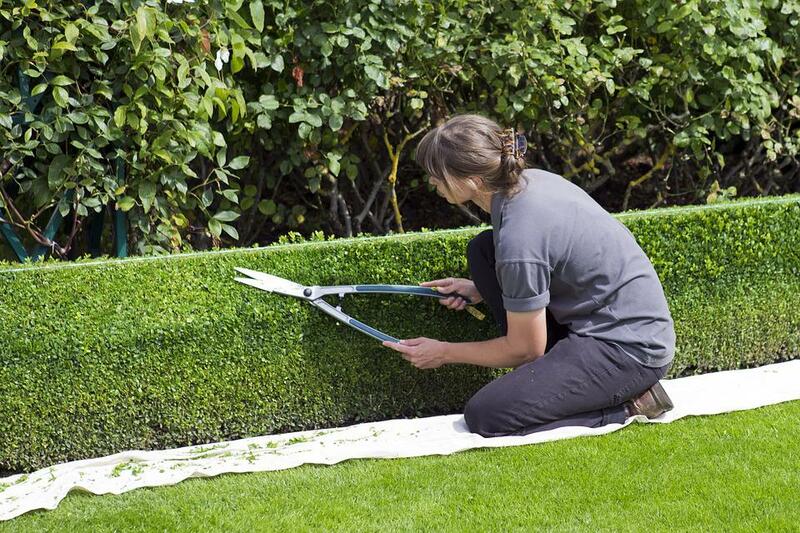 Grow a hedge – If you are looking for a natural solution to your privacy problems, why not plant a hedge? This may take a little bit more effort, but it will be worth it in the end. When choosing the right type of plant for your garden, make sure you consider the important factors, i.e. how often it needs to be pruned and watered, what type of light it requires, and how high it will grow. Classic choices for hedges include the likes or privet and boxwood. However, flowering bushes like laurel and rhododendron are beautiful and they can grow up to eight-feet tall. Make a potted screen – A final suggestion for adding more privacy to your garden is to create a potted screen. Almost every type of plant can be grown in a pot, and this is a much more flexible solution than some of the options mentioned above, making it an excellent solution for rental accommodation. For maximum privacy, plant varieties of fruit trees, tall grasses, and bamboo. If you use one of the five suggestions that have been mentioned above, you can make sure your garden looks beautiful while also benefitting from the added privacy you need.